Since the establishment of the Diocese in 1950, we gave been partnering with parents, parishes and the community to help provide a quality Catholic education for our children, Today’s Catholic schools follow a rigorous standards-based curriculum that addresses the moral, spiritual, academic, artistic, social and physical development of the students. but need additional assistance to attend one of our Catholic schools. In particular, we will be able to help immigrant families who are new to our diocese and who wish to provide their children with a Catholic school education. We acknowledge that this fund must grow substantially in the future and are grateful to other Catholic education foundations, which will assist in this goal. Less than 20% of demonstrated family need is met. 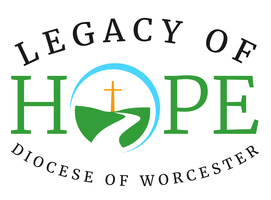 Your gifts to the Legacy of Hope campaign will allow us to increase the amount available for tuition assistance to approximately 15-200 new students.